We’re twenty-two years old today and going strong! 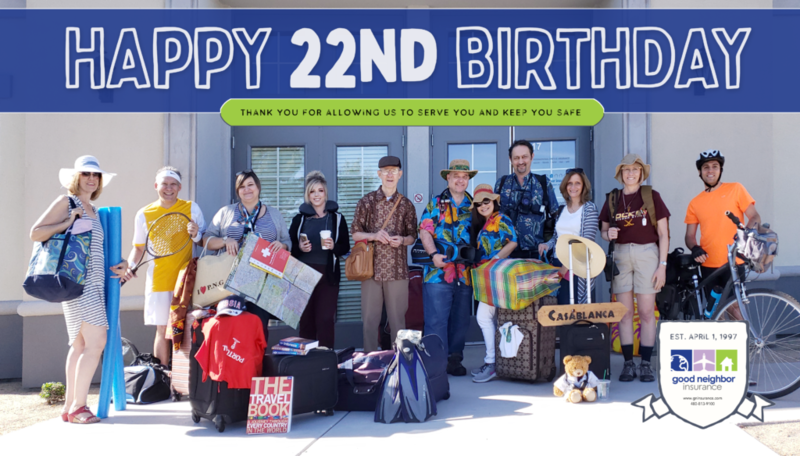 It’s our twenty-second year helping travelers and organizations stay safe overseas! Has it really been twenty-two years?! 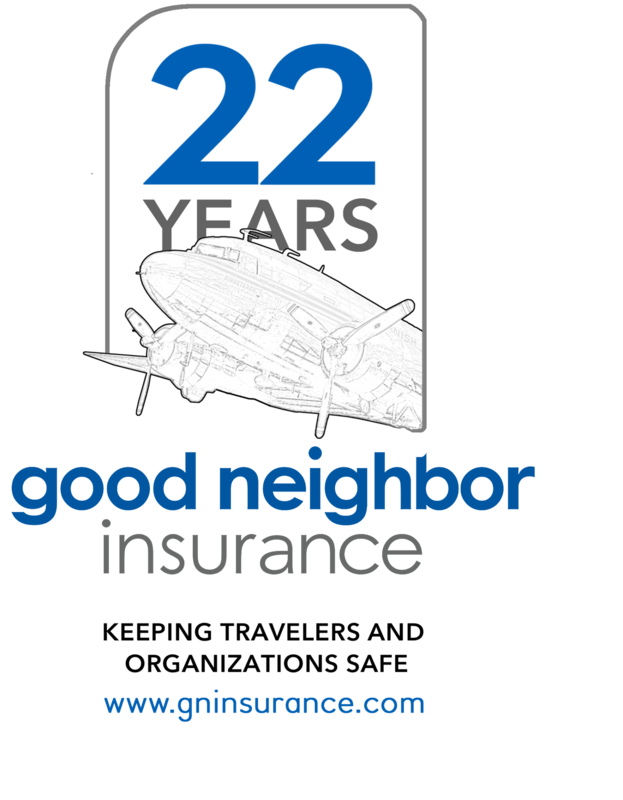 Good Neighbor was officially recognized and registered in Arizona on April 1, 1997 (no joke!). It is hard to actually remember what life was like in 1997. Personal computers and the internet hadn’t been invented yet. (That wouldn’t really come till the Apple 2.) And people actually wrote letters, by hand, and mailed in their insurance applications. Sometimes we got them returned via fax and then set about to decipher the writing which sometimes had vertical lines running through them or came through all distorted. We still use our fax machine at times believe it or not! – If you have one you could even send us a birthday greeting via fax at (480) 813-9930! People would have to wait for reimbursement of claims until a mailed check arrived at their bank (since there was no online banking). PanAm (Pan American World Airways) was THE cultural icon of the 20th century and the face of glamorous inter-continental travel. We saw PanAm close their doors on December 4, 1991. (Its assets were taken over by Delta airlines.) TransWorld Airlines was the “other” major American airline from 1924 until December 1, 2001. “The golden age of travel” is missed every time I am forced to stand in line only to be crammed onto an oversold flight, carrying my own food onto the plane, in the name of keeping ticket prices low. 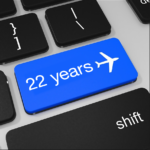 If you look deeper, however, you will find that even with the rising costs of inflation, ticket prices have remained the same for the last 20 years, opening up the world of travel to millions of more people that may not have been able to afford travel 22 years ago. So that’s good news. The head of PanAm, Juan Trippe, had a dream that “The tourist plane…filled with enthusiastic tourists going around the world will have much more effect on destiny than the atomic bomb.” We hope that is indeed true. And that GNI has had a small part in encouraging that, and in helping those who have caught that same dream. It is hard to believe, but back in the day, people also socialized in airports, and when they gathered together, rather than ignore each other while looking at their mobile devices. Before the year 2000, very few climbers tried to summit Mount Everest and “adventure travel” was in its infancy. About 800 people worldwide will now try to summit Mount Everest this year (and every year). 9-11 was in the future and Islam was largely unknown. India was just becoming well known due to the influence of the Beatles and the 60’s. Over the years, we (all) weathered numerous storms. In 2008, the global economic meltdown and its aftermath around the globe cost nearly $20,000 for each American. It eventually destroyed many national economies around the world and left the global poor even poorer, being the most severe economic downturn since the Great Depression of the 1930s. In the beginning, after living in Southeast Asia for over 30 years, Jeff Gulleson never thought of Good Neighbor Insurance (GNI) providing much more than a minimal living, such as $1000, or even $2000 a month (back in 1979). That wasn’t the point. And he didn’t realize that GNI would grow so quickly. But Jeff was an entrepreneur and loved seeing “start-ups” succeed. He read business books for pleasure. And he was an early adopter of the internet. Jeff created a website long before the internet was on every home computer and every house had an internet connection. This was because he recognized how important the internet and online communication was for those living overseas (and multiple time zones away), due to the high costs of long-distance calls and the amount of time it took for mail to arrive. That first year he made $7,500. But that would quickly change and we would grow to a “million dollar plus revenue” mid-size company with solid financials, 10+ employees and a strong, conservative growth plan – All while staying true to very specific values which govern how we do business. This is a bit of our story over the last 22 years. We continue to be thankful for our past employees who grew Good Neighbor from a spare bedroom, and all those who ultimately moved overseas themselves, or retired, while also recognizing our current employees who may be the best version of Good Neighbor Insurance staff to date,…to recognizing our carriers and their employees who we work with closely to protect you and keep your costs down, to being awed and grateful to interact daily with so many amazing workers and travelers abroad, serving as volunteers and in communities around the world, rarely in the limelight – but critical to the well-being of so many and doing such important work. Our business was, and is, built on serving and protecting the non-profit, charitable community. While we help thousands of adventure travelers and leisure travelers going on vacation or their honeymoons, the majority of our clients work in remote regions, often at much higher risk, working in local communities and to improve local communities. Therefore, they look to us to find them the best insurance, at the best prices. Travel and international health insurance that they can afford on tight budgets. And we are happy to do so. 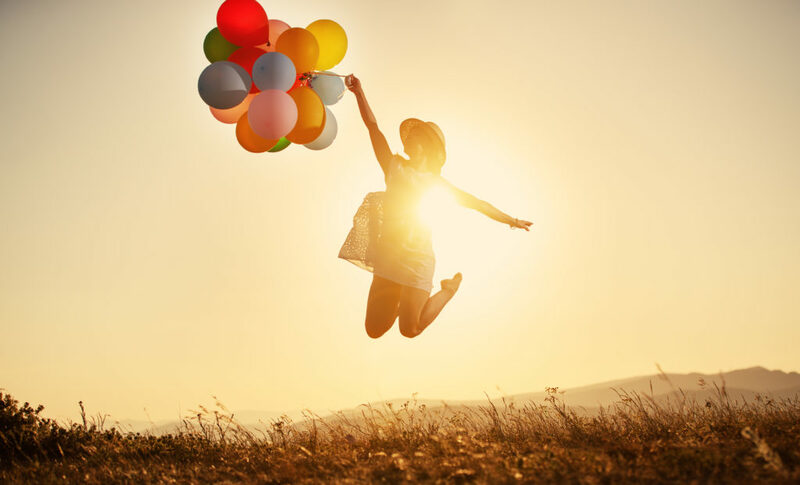 We are also happy to say that in the last 22 years, according to the “WORLD HAPPINESS REPORT, 2019″ (Editors: John Helliwell, Richard Layard, and Jeffrey Sachs with Associate Editors: Jan-Emmanuel De Neve, Haifang Huang and Shun Wang), the subjective well-being of most of the world’s population has gotten better; infectious diseases are being effectively addressed on a much broader scale; child nutrition and education are both steadily on the rise; child mortality has been cut in half and life expectancy has increased dramatically. We still have a long way to go to reach all of the Sustainable Development Goals (SDGs) that we would like to see. But who would have predicted that in 2019, the richest 1% of the world would become the hope of the world’s poor? In June 2010, the Giving Pledge became the biggest fundraising drive in history when Warren Buffet and Bill and Melinda Gates issued a challenge to the world’s billionaires to literally pledge at least 50% of their net worth to charity during their lifetimes, or at death. Those joining the Giving Pledge are incredibly thoughtful about their desire to give back and actually solve the world’s toughest challenges through philanthropy. Not just “feel good” but focus on results-based investing to make a difference. To date, 154 billionaires from 16 countries have gone to https://givingpledge.org and signed. There are still concerns with this model and with donors’ motives. Yet, in 1997, I do not think many of us would have imagined either Bill and Melinda Gates giving $36 billion dollars (to date) or companies becoming as socially conscious as they are almost required to be in 2019. As we look to the future, Good Neighbor is as committed as ever to helping clients find the right medical insurance policy, worldwide, to fit each client and organization, at the right price. We value personal connection and welcome your phone calls or emails, answering each one personally and quickly. While our competitors choose to go to a completely online, automated sales model, we continue to believe that it is vitally important that you get confirmation from an actual expert (which takes only a few moments) to make sure you have the right policy to fit your needs. You may purchase something online thinking you have the right coverage only to find that in a real emergency, you may not have the protection you think you have. 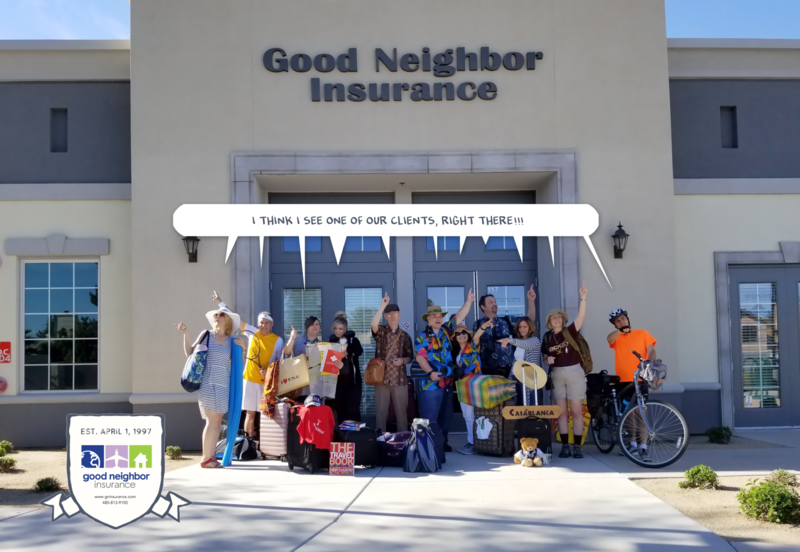 Good Neighbor is committed to personally answering questions and providing the right insurance each time, to each individual client and need. Can we help you travel safer, travel better? We’d love to help you. Give us a call before your next trip (866-636-9100) or chat with us at https://lc.chat/now/9935045/ and let us help you find real “peace of mind” and real protection at a really good price. “Why Good Neighbor?” Check out our brochure. You can also drop our staff an email or birthday greeting at info@gninsurance.com or on social media at Facebook (https://www.facebook.com/gninsurance/) or Twitter (https://twitter.com/gninsurance or #goodneighborinsurance).